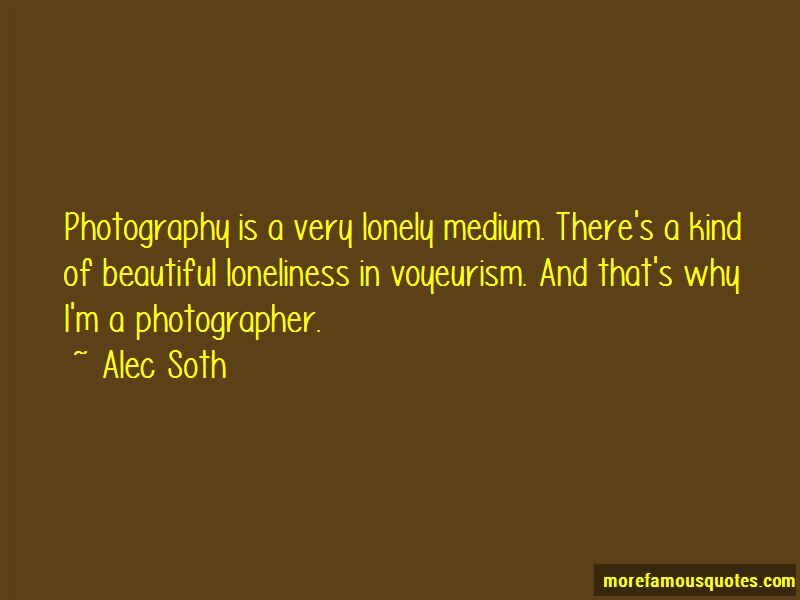 Enjoy the top 23 famous quotes, sayings and quotations by Alec Soth. I fell in love with the process of taking pictures, with wandering around finding things. To me it feels like a kind of performance. The picture is a document of that performance. For me, the act of photography is all about discovery and finding new things. Nobody really wants to be alone. People need people. I'm like the annoying guy in the street. 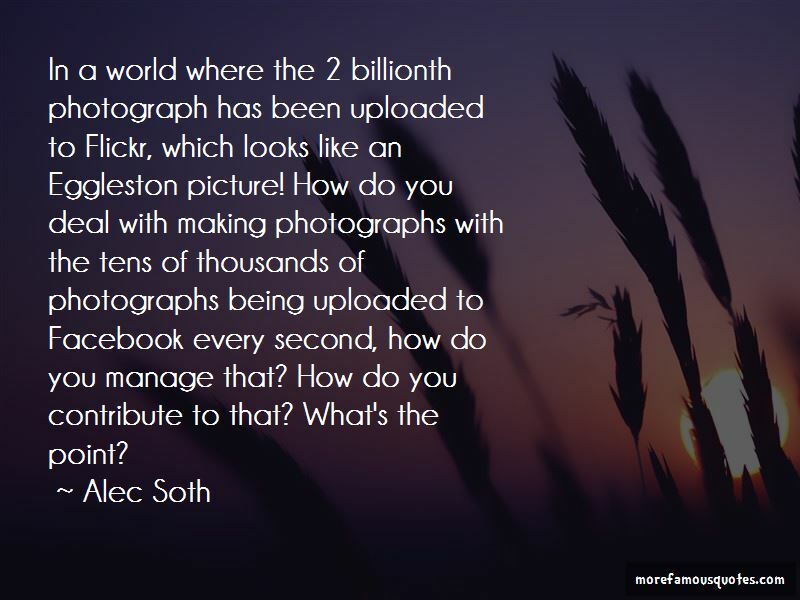 Photography, for me, is a lot like web surfing in real life. I've never been comfortable photographing people I know, myself included. I guess I prefer the mystery of strangers. 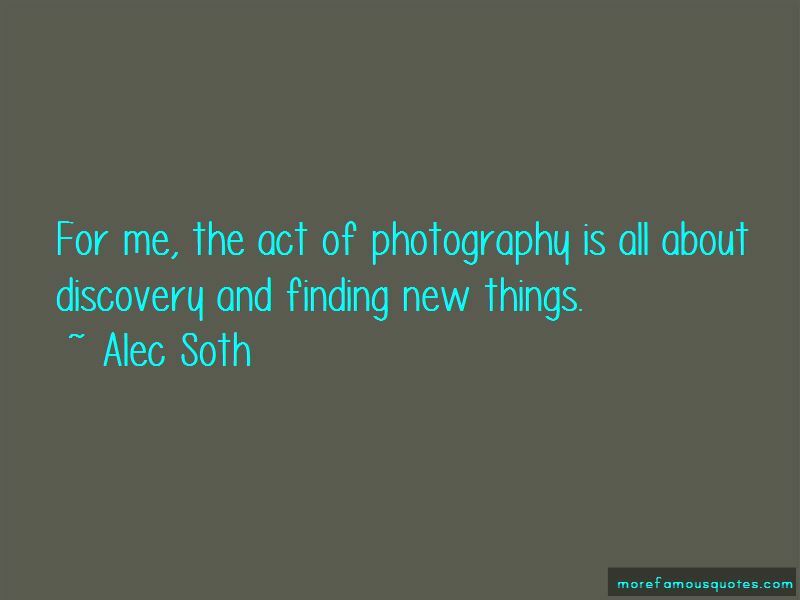 Want to see more pictures of Alec Soth quotes? 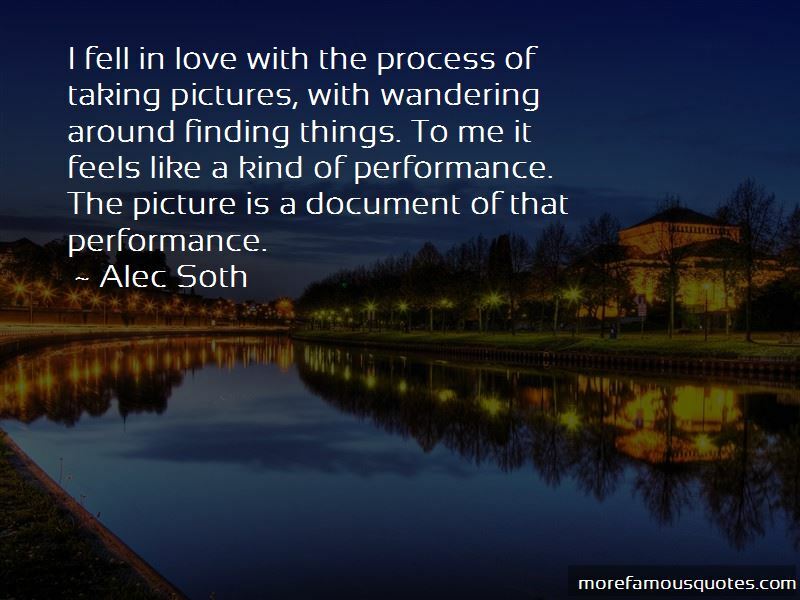 Click on image of Alec Soth quotes to view full size.